It’s been about four weeks since we last posted on the blog. We can identify with Moroni who said to the Lord, “Behold, thou hast not made us mighty in writing.”(Ether 12:24). We have our apartment basically set up. I still have a few additions to make, such as pictures for the walls (email us some family pictures we can frame), something better for drapes and ideally, an area rug for the “living room/study hall”. It’s not a stylish apartment; the pictures on the walls are mostly unframed pictures of the Savior taped or tacked to the wall by previous missionaries over the years, and the furniture is outdated and mismatched, but we’re comfortable. We check our favorite second hand store regularly (the only one in town) for a matching pair of kitchen chairs that will work with the two we already have. We don’t expect them to match our present pair but the same height would be nice. We got a great bargain on a table that seats 6 just in time for Easter dinner. It’s probably from the 50s and cost us 10$ at the dump magazine (store, in English). They rescue anything they think is still useable as it comes in and sell it. We also got a small computer table and a perfectly good, clean ironing board. I have the place almost as clean as I like. One or two more p-days will take care of that. Not that it was really bad, but you know me. One of my projects was the kitchen floor. The glue from the old linoleum had been seeping up around the tiles, probably for years, and made the floor look perpetually dirty. One p-day I began scraping up the glue and scrubbing the tiles with magic erasers. Eventually Elder Rhodes pitched in and then Elders Smith and Grant. They had come to do their laundry. About 8 man hours later, of which I did 4, we all appreciated the difference. Before - with the glue that seeped out from under the tiles. All scraped and washed- what a difference! We have a new bed coming on Monday. Yes, you have heard that before. The one we got a couple of weeks ago is not comfortable. I wake up most mornings with sore shoulders. Dad/Elder Rhodes finally admitted that he does too. Thank goodness Sears has a 90 day exchange policy on beds. We went in yesterday and made arrangements to exchange it with no hassles. I think we’ve met most people in the Abitibi Branch. Few as they are, many of those who come make great sacrifices to do so. The sister from Cardston leaves around 7:30 on Sunday mornings, drives the 25 minutes into Rouyn-Noranda to pick up two seniors that she has to help out of the nursing home and into the vehicle, then goes to get the Relief Society president and sometimes one other sister. She then drives the hour and a half into Val d’Or where our meetings start at 10 am. After church she does the whole thing in reverse. While she’s in Val d’Or she will often make a hospital visit if needed or visit-teach one or two sisters. Her passengers wait at the church where they will eat the lunch or snack they sometimes bring with them. When this sister isn’t able to drive, as is now the case since she just had surgery, our Relief Society president takes a taxi from her home to the bus depot in Rouyn-Noranda to catch the 7:30 am bus to Val d’Or. After the meetings are over she reverses the process, and arrives back home around 5:00. What a great example of commitment they are! We have been working with the Elders in teaching some investigators. There is a native couple with the cutest 10 month old baby girl that we’re excited about. The Elders had worked with them before we got here. Neither of them drink alcohol, smoke or use drugs. Both of them have jobs. They were at church the Sunday before Easter and the Elders have met with them since. They are coming to listen to the Saturday morning conference session, but the mom has to work in the afternoon. They set their wedding date for the beginning of June so they can be baptised at the end of June. We need strong Church members out at Lac-Simon (the reservation). They could be the ones. 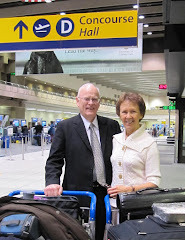 Another person we’re really excited about is a gentleman who has been in touch with missionaries for over 15 years. He has attended meetings in the past but never took the church too seriously. He had been baptised in the Baptist church years ago and sometimes attended their services, where he was fed all kinds of negatives about the Mormons. It didn’t turn him against us as he believes in respecting others’ beliefs, but it did cause him to not give serious consideration to what he was being taught, especially if it was unconventional. He had also been addicted to alcohol, smoking and marijuana for years. At some point he quit drinking, and eventually marijuana as well. After 6 years he started smoking weed again and 6 months later quit again. It’s a long story that I won’t go into. He has also been dealing with depression since December. He started studying with the Elders again not long before we got here. By the time we arrived he was still insisting he had no intentions of quitting smoking, but enjoyed the company and the things he was learning. He is a very sincere man and, in spite of his past lifestyle, has always wanted to know and do what’s right, and in fact, thought he was doing all he needed to as far as church and God went. This time when he started listening to the elders he decided maybe he should pay more attention and actually pray about it. He began reading the Book of Mormon with the intent of finding out what God wanted him to do and had the thought that maybe there was something to this church, since the missionaries have never given up on him after all these years. Was God trying to tell him something? Soon he noticed that his ash trays and buts were becoming disgusting to him. Next he became aware of the tobacco smell on his clothes and his breath, which he said he had never noticed before. Was God trying to tell him to quit smoking? Maybe he should give it a try. He started to cut back. In about three weeks he went from smoking 35 to 40 cigarettes a day to 18 and is feeling really good about it. (In the middle of that he tried cold turkey but that didn’t work for him. )The elders bought him some Calf-Lib so he’s been substituting it for about half the coffee he was drinking, which was close to 20 cups a day. He is much happier now and isn’t near as depressed as he was. He comes to church every Sunday, read the Book of Mormon from start to finish, and is more than half way through the Doctrine and Covenants. He’s a very special person and very humble. I’m confident he will receive a testimony in due time and be a blessing to this branch. We really enjoy our association with him. We have a few other very nice people we’re teaching as well, most of them native. They are each unique and we love them all. I’m not sure they’re ready to make the necessary changes to be baptised, but we keep hoping and praying. For those who have been following Tanner’s blog, just look at Brother “J” that he baptised recently. That could happen here too. Last Wednesday we held district study in our apartment as the district leaders were doing splits in Val d’Or. The Ottawa missionaries joined us by phone. I served homemade chicken and vegetable soup with biscuits and quick pudding for lunch. Unfortunately technology has not yet devised a way to transport food through a phone, so the Ottawa missionaries missed out. We invited Elder Smith, Elder Grant and two single men from church, Frank and Richard, who don’t have families, to have Easter dinner with us. I served ham, scalloped potatoes, sweet potatoes, carrots and peas. I actually bought an apple pie for desert and enjoyed it. Dinner was a success and we enjoyed the company. Having company on special occasions makes being away from family a little easier. The best part of the day was being able to Skype with some of the family. Easter Sunday: Waiting to be called. This past week we’ve been making preparations to teach an English class. Apparently there used to be one, and Frank said people have been asking him if we would teach it again. Just as in India, bilingual people here have a better chance of getting employment. The classes will run Tues. and Thurs. evenings at the church. We’re both nervous and excited about this new experience, although the Elders will actually teach the first class. We’re still trying to learn to French. I don’t know how successful we’ll be, but I’m really enjoying it. I always wanted to be able to speak it. I’ve learned to identify and use a few common phrases and am thrilled when I can get through a till without having to let the teller know I don’t speak the language. Sometimes we think it will take a miracle for us to actually be able to communicate in French. We’re relying on the gift of tongues to supplement our age related diminished capacity for learning. Well, I think that covers everything that’s been happening with us recently. We’ll try to post more regularly so you won’t have to read so much at one time. That's snow piled up along the MIDDLE of the boulevard. Elder Grant applying his sewing lesson in mending hems.